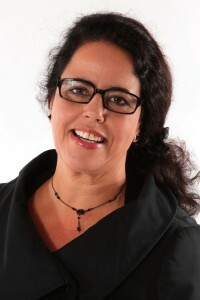 I’m Diana Araújo and my passion in life is helping people to lead happy, successful and fulfilled lives. I provide neuro-linguistic programming (NLP) and hypnosis for children and adults, working from my consultation rooms in Sevenoaks. I also deliver NLP workshops and individual coaching sessions at secondary schools in Kent. Every person has the inner potential to achieve their goals and be the person they want to be. My role as an NLP therapist is to empower individuals with tools and techniques which they can use to unlock this potential. Helping people to make positive changes and achieve a new perspective on life is something I find incredibly rewarding. I named my NLP practice A Positive Mindset because I believe that overcoming limiting thoughts and releasing yourself from negative emotions is the key to a happy and successful life. Whether I’m working with a child, teenager or adult, my first step is to establish a strong rapport and build the empathy and understanding that underpins an effective therapeutic relationship. I use my extensive training and professional knowledge, together with my intuition and life experiences, to create a true connection with each client and understand their life as they see it. Having trained to an advanced level across a number of specialist areas of NLP practice, I am able to offer a flexible approach to finding ways to help each person achieve the result they desire as quickly as possible. My NLP journey began in 2012, when I saw Richard Bandler, one of the co-creators of NLP, at an event in London. I was intrigued by the powerful stories of personal development and transformation that he shared, and I was keen to learn more. I soon experienced my own breakthrough moment when I decided to leave my career in communications at an international bank, and focus instead on using NLP to help people achieve positive change in their lives. I qualified as an NLP practitioner in 2013, having trained with the American Board of NLP, the Time Line Therapy™ Association and the American Board of Hypnotherapy. 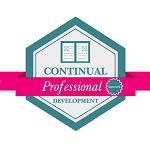 I have continued my professional training since then and am now an NLP Coach Master Practitioner, a Master Practitioner of Time Line Therapy™ and Hypnosis, an NLP4Kids practitioner and an Empowering Learning practitioner (Level 2). 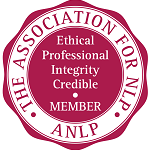 I am a member of the Association for Neuro Linguistic Programming and I hold full professional insurance and a DBS certificate. I am also trained in child protection and paediatric first aid.